We are VERY excited to inform everyone our latest addition to our snare drum line up. 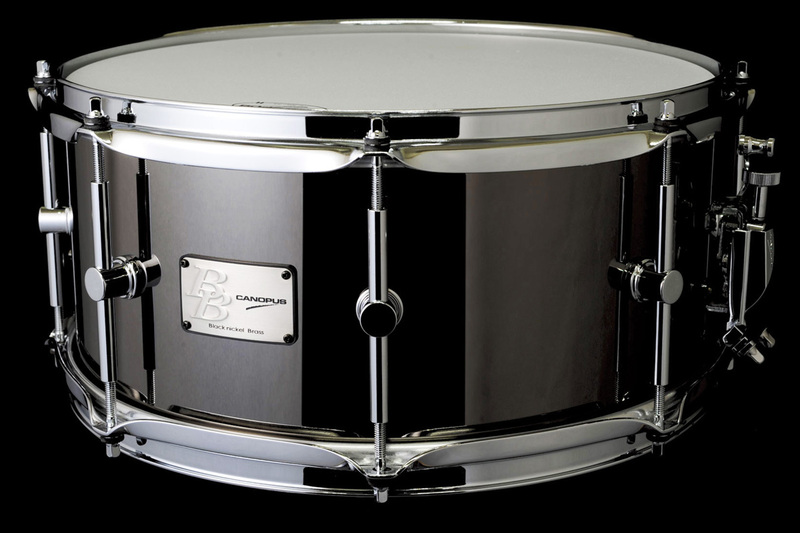 It is beautifully made Black Nickel Brass Snare Drum in 6.5″! What comes more with the snare drum? Our new snare wire, Back Beat 30 Strand snare wire! You won’t believe how the snare drum sounds. RESERVE YOURS TODAY! 3mm Solid Brass Snare Drum Lowered Price Items for 2016! Keith Carlock endorse Canopus drum accessories! Stevie Wonder, New Canopus User, has his own Yaiba Ⅱ Groove Kit!